LightSquared’s proposed broadband service may cause trouble for GNSS receivers, such as this one, that use commercial satellite augmentation services. The Senate is considering establishment of receiver standards as part of a wide-ranging effort to find more frequencies for wireless broadband services, a move that could ultimately result in expensive new requirements for the GPS community. The concept is to mandate user devices be able to withstand the effect of interference from services using nearby frequencies, thereby making it possible to pack more users into swaths of the spectrum. Though adoption of standards for receivers was formally considered and then dropped by the Federal Communication Commission (FCC) some eight years ago, the FCC has recently been suggesting standards for GPS devices as a way to mitigate interference from the high-powered wireless broadband service proposed by the firm LightSquared. Then in March, just as the controversy over LightSquared began to heat up, Sen. Olympia Snowe, R-Maine, and Sen. John Kerry, D-Massachusetts, proposed to prevent impairment of the “reasonable use of adjacent spectrum” by making commercial manufacturers responsible for meeting new receiver standards set by, among others, the FCC. If passed, the bill could trigger another fight between GPS community and the commission, which has been accused repeatedly of bending its rules to favor LightSquared. The Snowe-Kerry bill, however, appears to have been superseded and softened by one from Sen. Jay Rockefeller IV, D-West Virginia, the chairman of the Senate Committee on Commerce, Science, and Transportation, which has the lead on this issue. Sen. Hutchison, Kay Bailey of Texas, the top ranking Republican on the committee, is the co-sponsor for S. 911. With the original short version of the bill now expansively amended and passed out of committee, the one-two punch of Rockefeller and Hutchison gives their measure political momentum that the Snowe/Kerry bill currently lacks. Frequencies used by NAB members are being targeted as an underused resource that could be repurposed for wireless services. The NAB has been fighting an intense battle to keep its members from being involuntarily assigned to other bands and is hoping a look at other options might help solve the problem. Whatever new mandates might do for the broadcasters, there is no receiver standard that would address the GPS/LightSquared issue because no technical fix currently exists that could be mandated for such a standard, said Jim Kirkland, vice-president and general counsel for GPS receiver manufacturer Trimble Navigation Ltd.
Wideband GPS receivers are specifically designed to use the full GPS spread-spectrum signal to enhance accuracy, Kirkland explained. No filter from LightSquared or any other source that his firm has been able to find can protect the receivers while also letting them use the full GPS band, he said. Another type of high-precision receiver has an even bigger challenge, according to Kirkland. 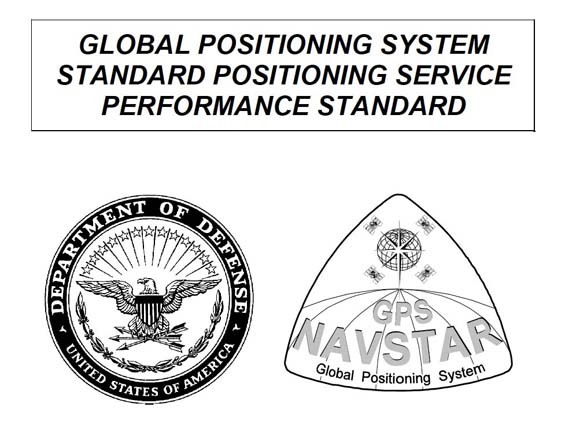 These GPS devices — which are used on precision construction and agricultural equipment as well as for surveying — were designed to use commercial satellite-based augmentation services, including the OmniSTAR system operated by a Trimble subsidiary, and the StarFire system of NavCom Technology, a John Deere subsidiary. These systems use differential GPS corrections transmitted from geostationary satellites in the MSS frequencies that LightSquared now wants for its proposed broadband service. In a May 27 filing with the FCC, John Deere said that LightSquared signal would be more than 90 decibels stronger than a StarFire signal near the LightSquared base stations. It could cost billions to redesign just the high-precision receivers in John Deere’s agricultural equipment to deal with a change, given the number of devices already in place, said Ronald Hatch director of navigation systems at Deere subsidiary NavCom Technology, Inc. Hatch emphasized his view was a personal opinion, and not the official position of John Deere. As for LightSquared, the firm does not see receive standards as essential, said company spokesman Chris Stern.